← Manually scheduled Tasks and Dependencies when changing Duration in MS PROJECT 2016! 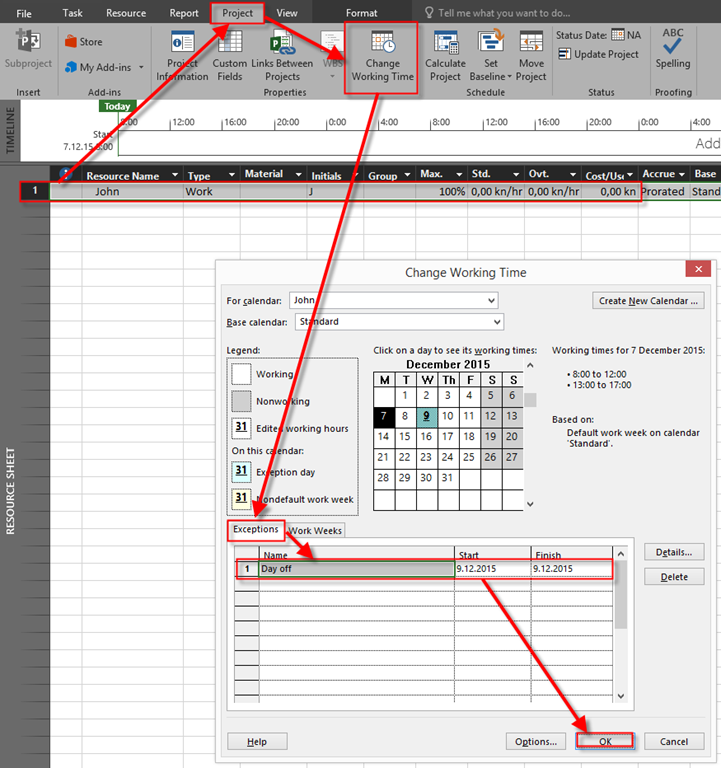 Manually Scheduled Tasks and Resource Calendar in MS PROJECT 2016! today I’ll show you how Manually scheduled Tasks are affected by Resource Calendars in MS PROJECT 2016! As you can see, End date didn’t change, and John will work only 32 hours to Complete his work, because he is at his day off at Wednesday. So, when you use Auto Scheduled Tasks, End date will extend, and Work = Duration * Units e.g. Work =5 days (8 hours per day) * 100% = 40 hours, and the end date is not fixed! But, when you use Auto Scheduled Task Work = Available days for resources (Duration) * Units, e.g Work = 4 days (because one day off) (8 hours per day) * 1’00% = 32 hours. So, be careful when you use Manually scheduled Tasks and Resource Calendars! This entry was posted in Microsoft Project 2013, MS PROJECT 2016, PMI, PRoject Management and tagged MY PROJECT 2016 - Schedule; Microsoft Project 2016. Bookmark the permalink.